"Sam was a very nice young man. Done some work at our house..."
" My heartfelt sympathy goes out to your family at this..."
Samuel Biggs, age 41, passed from this life on Sunday, September 9, 2018, surrounded by the love of his brothers and sister. 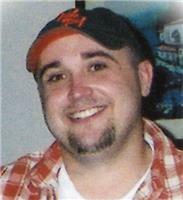 Samuel was born on October, 23, 1976, in Panama City, FL, to the late Vernon Edward and Violet Elaine Biggs. Samuel was a graduate of Trigg County High School in Cadiz, KY, and was the proud owner of Sam's Heating and Air in Springfield, MO. Samuel is preceded in death by his parents. He is survived by his brothers: Jon Biggs of Vernon, FL, and Todd Biggs and wife Tammi of Cibolo, TX; his sister, Rebecca Biggs, of Jacksonville, FL; and his nephews: Taylor, Trent, and Tanner Biggs.